323311482 -In the field of law enforcement in the United States, it is essential to know the contemporary problems being faced and combine that knowledge with empirical research and theoretical reasoning to arrive at best practices and an understanding of policing. Policing in America, Eighth Edition, provides a thorough analysis of the key issues in policing today, and offers an issues-oriented discussion focusing on critical concerns such as personnel systems, organization and management, operations, discretion, use of force, culture and behavior, ethics and deviance, civil liability, and police-community relations. A critical assessment of police history and the role politics played in the development of American police institutions is also addressed, as well as globalization, terrorism, and homeland security. This new edition not only offers updated research and examples, it also incorporates more ways for the reader to connect to the content through learning objectives, discussion questions, and “Myths and Realities of Policing” boxes. Video and Internet links provide additional coverage of important issues. 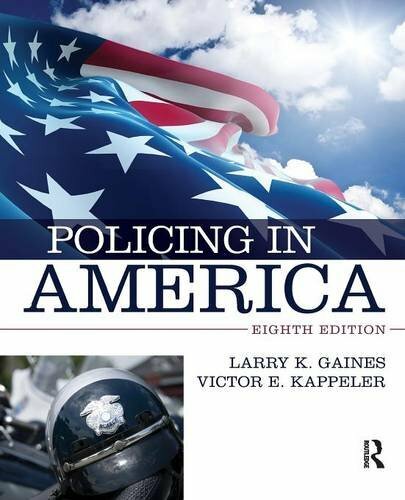 With completely revised and updated chapters, Policing in America, Eighth Edition provides an up-to-date examination of what to expect as a police officer in America.